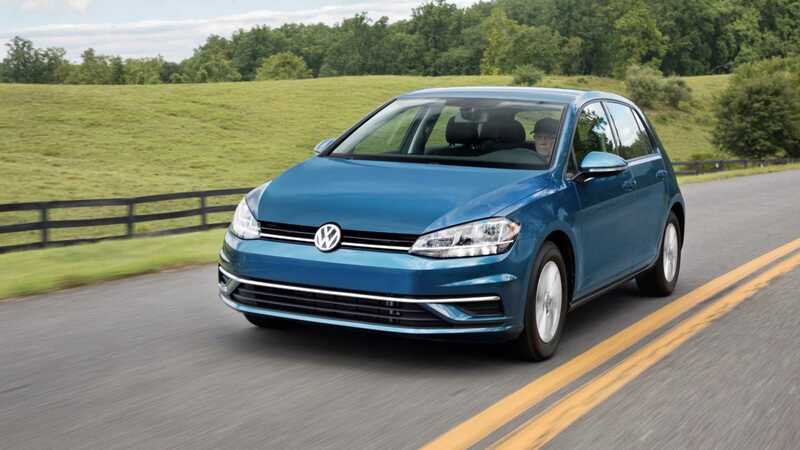 The Volkswagen Golf is arguably the only car you ever need to own. As well as being one of the most ergonomically sound machines out there, VW build one in just about every flavor imaginable. Need space? There’s a wagon. Want to go really fast? The Golf R is for you. Need to go fast and require lots of space? They even do a Golf R Wagon! However, this critic pleasing model and subsequent mastery of the market didn’t happen by accident. 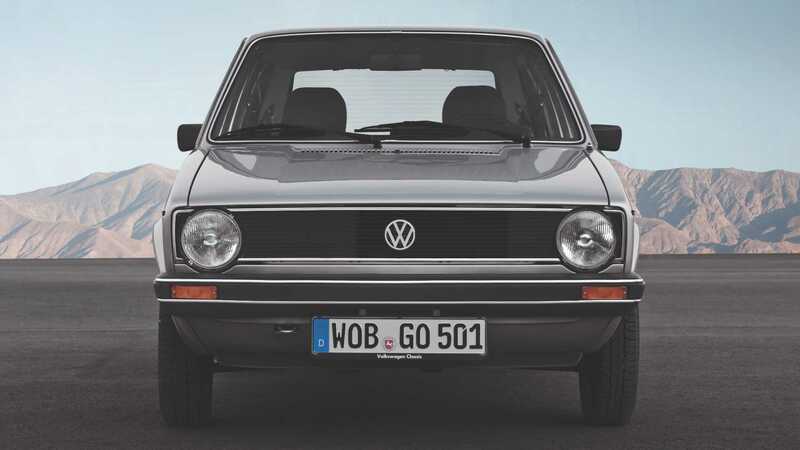 Today the Volkswagen Golf turns 45 years-old. 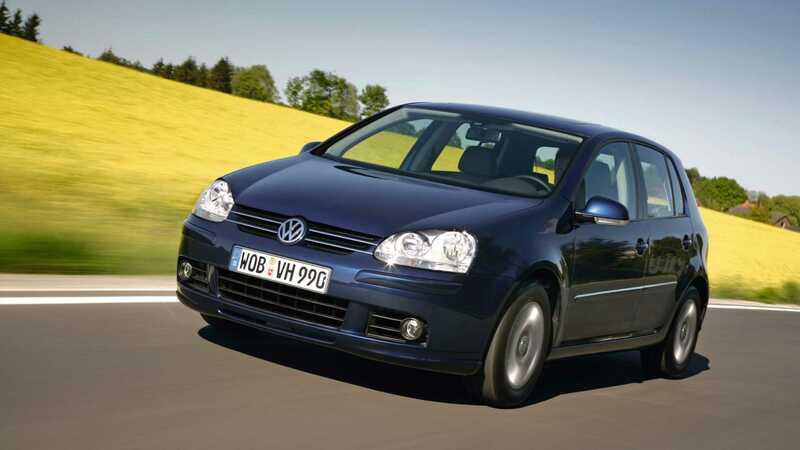 More than 35 million Golfs have been sold worldwide since 1974. That works out to be around one order placed every 41 seconds! 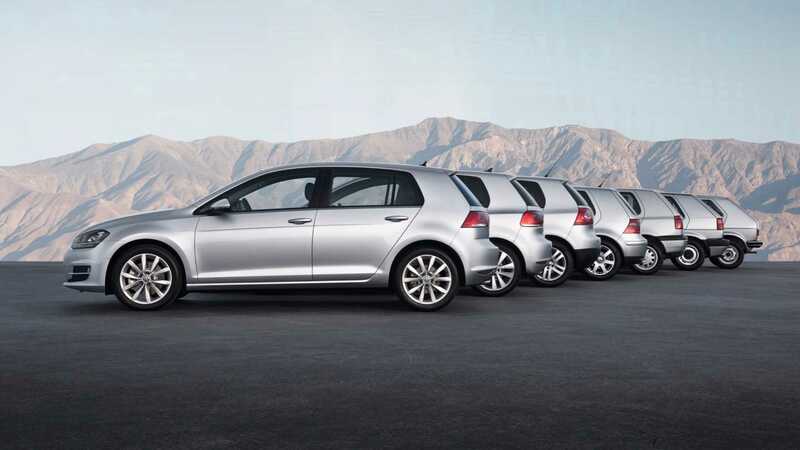 Check out the Volkswagen Golf’s journey over the decades. Will You Rescue 55 Volkswagen Westfalias From Their Graveyard? 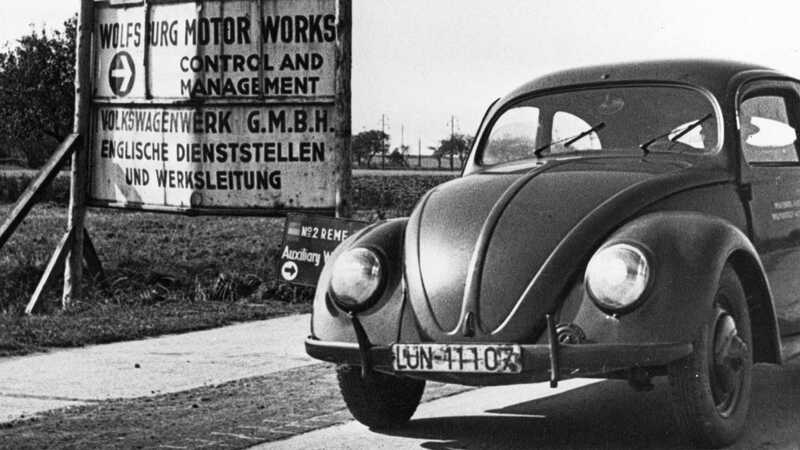 Volkswagen had experienced global success with its first ‘people’s car’ the Beetle, so replacing it would be no easy task. The German marque summoned its best engineers to create an affordable family model that was economical to run, and just as practical as its predecessor. They settled on a front-engined, front-wheel drive design with a large hatchback opening. 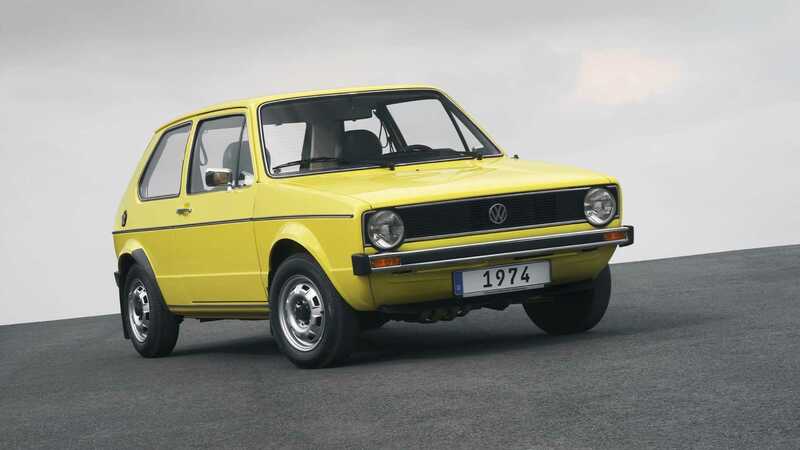 On 29 March 1974 the first Volkswagen Golf (launched as the Rabbit in America) rolled off the production line in Germany, marking the start of series production. The car was not only fit for purpose, but quickly put other European rivals to shame in terms of build quality. Many competitors learned hard lessons from the example that the German hatchback set 45 years ago. Its now iconic shape was penned by famed designer Giorgetto Giugiaro. The Volkswagen Golf GTI wasn’t the first hot hatchback, but it was arguably the car that came to define the breed. Starting as an out of hours project, enthusiastic employees set about plumbing in a 1.6-liter Audi engine into the Golf’s body. Modern fuel injectors were then added to the hatch helping it produce 110bhp, up from 75bhp in the standard car. 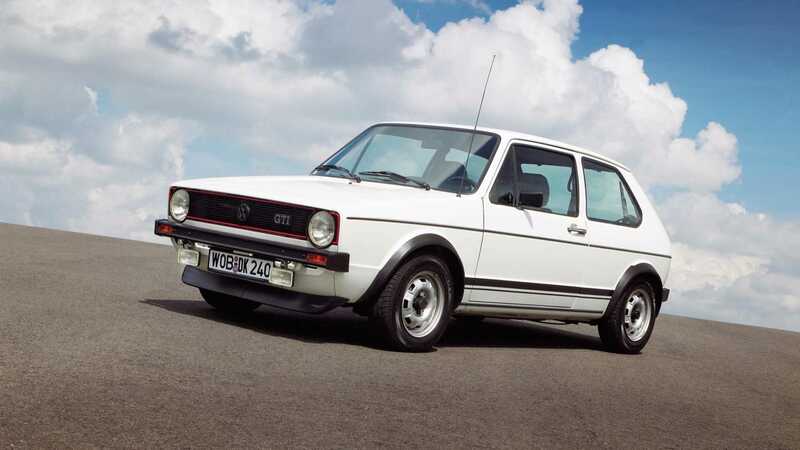 VW top-brass didn’t see the value in a ‘sports Golf’, but after the prototype was shown at the 1975 Frankfurt Motor Show, the positive public reaction spoke for itself. 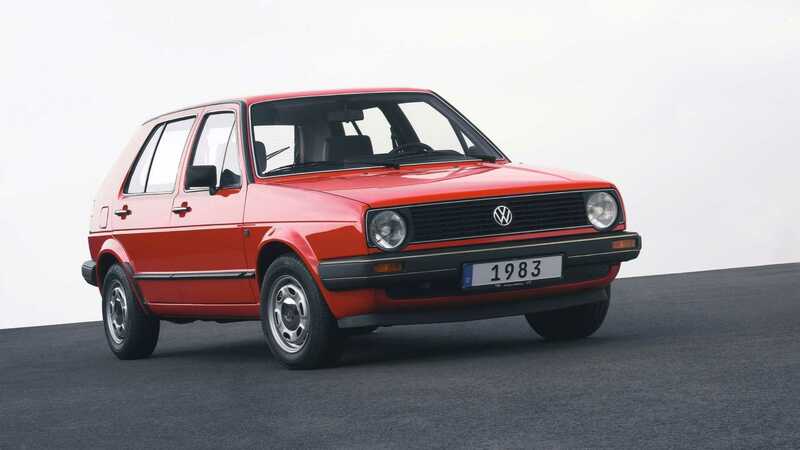 In 1976 the peppy Golf GTI went into production. In 1983 the second generation car added some practicality by being longer and wider than the original, but it retained much of the first Golf’s design. 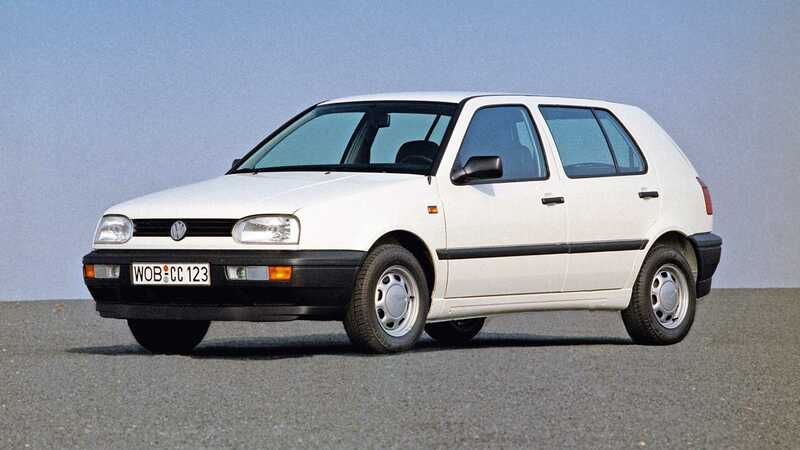 This was also the first time the ‘Golf’ name was used for the hatchback in America. 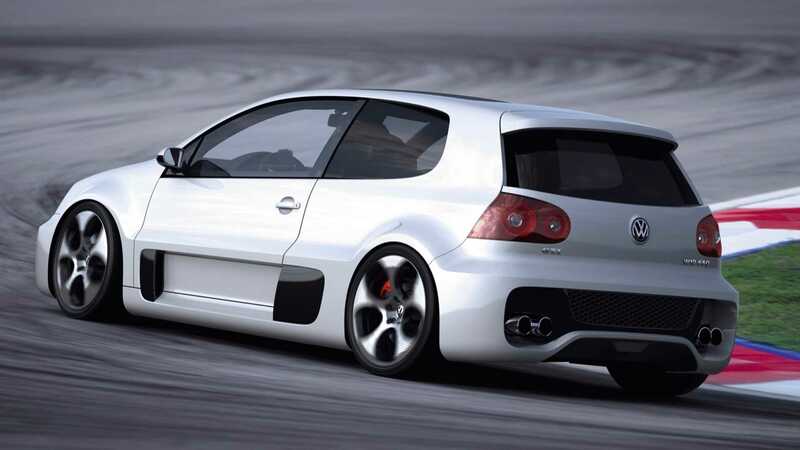 Its engines were revised and the GTI model introduced a new 131-hp 2.0-liter unit. The third generation Golf introduced the first all-new design since the car’s inception, featuring a prominent wedge shape. It offered new technology and safety equipment, not to mention a 172-hp 2.8-liter GTI variant. This MK3 Golf scooped the coveted European Car of the Year award in 1992. 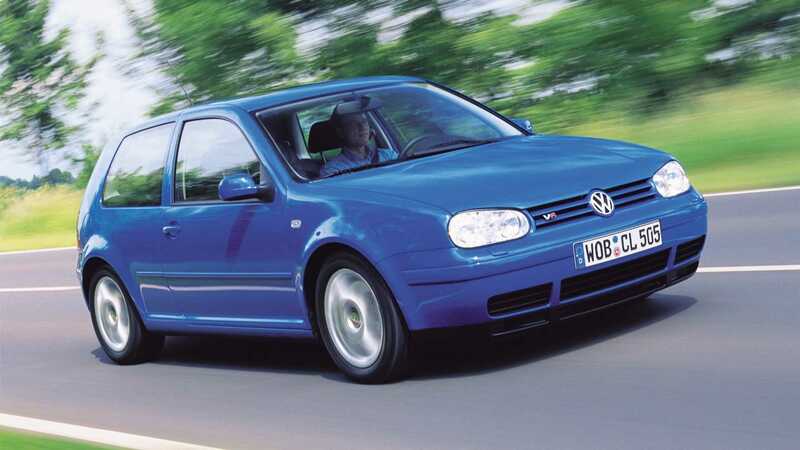 The MK4 Volkswagen Golf splits opinion, as while it did deliver on added equipment and refinement, its handling was compromised by its added heft. It was no the longer stand-out model in the now crowded hatchback market. However, this generation did see the introduction of the R32 model. The GTI model received crucial acclaim from the world’s media and was considered to be amongst the best hot hatchbacks at the time. An even more potent R32 with 250-hp was added to the range in 2008. Still the most bonkers Golf that has ever been created by Volkswagen, this working concept car used the MK5 golf to build a hatchback with supercar performance. In pace of the rear seats was a huge W12 engine that gave this car nearly 650-hp, all of which was channeled to the rear wheels. Returning to the Golf nameplate in America, the MK6 was a subtly revised MK5 car that brought some updated styling and technology. It also provided the launchpad for Volkswagen’s new R range of vehicles, with the Golf R producing 256-hp. 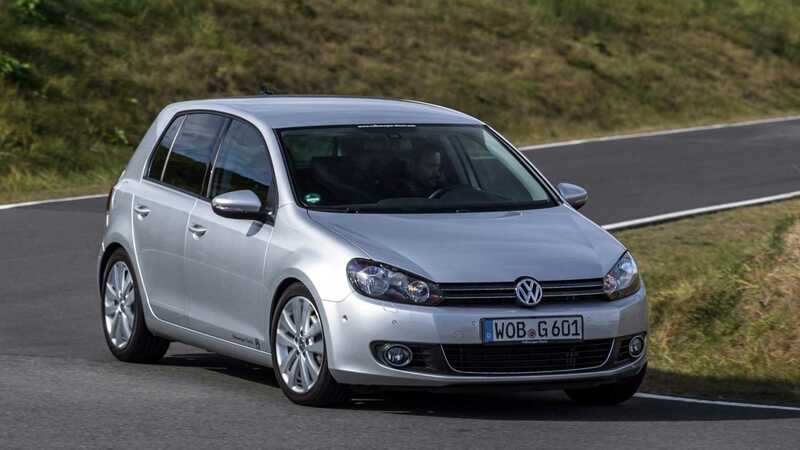 Volkswagen’s new MQB platform allowed this all-new Golf to grow in size, yet weigh less than the equivalent MK6 model. 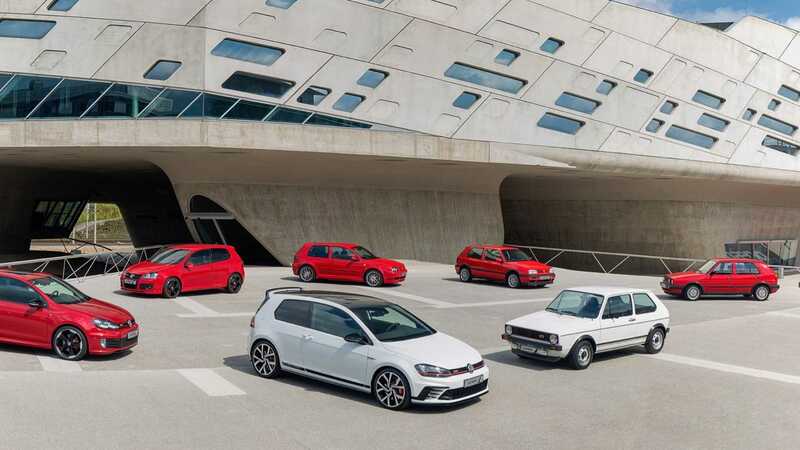 The hot hatchback variants were again a staple of the Golf with the fastest GTI and R models currently available. The Volkswagen Golf GTI Clubsport S was only available for a limited time and serves as the most focused variant of the GTI lineage to date. 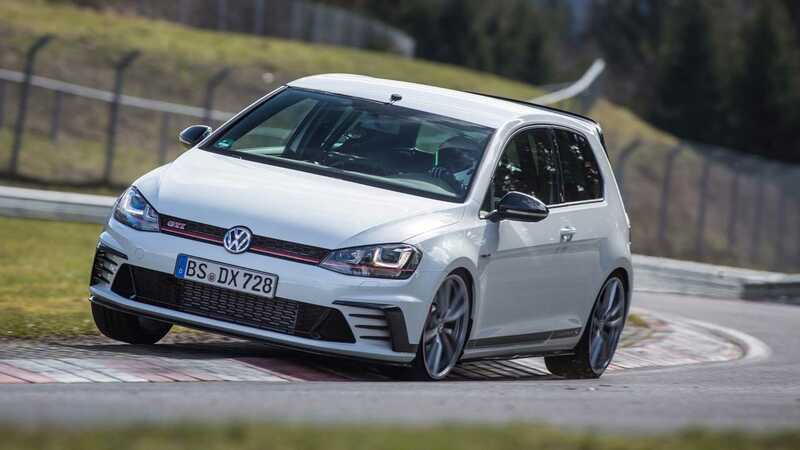 With 306hp available, more focused suspension, revised aero kit, bespoke Michelin Pilot Sport Cup 2 tires, and no rear seats, this Golf became fastest front-wheel drive production car to lap the Nurburgring in 2016. Just 400 Golf GTI Clubsport S were ever produced. The all-new Volkswagen Golf is due to be revealed during late 2019 or early 2020. Expect there to be more variations than ever before and for the car to feature the latest safety and efficiency technologies.